My nephew loved watching Topsy & Tim on the TV when he was younger, but still loves them now and has them recorded on the TV box, he insists on watching it over and over again, even though he maybe a little on the old side now at 8 years old he still loves it. When we received the books I didn’t realise how young they would be and at 3+ they were a little too easy for Jack, but none the less was excited to receive them and have a flick through them. He loves anything to do with activity books that includes stickers, matching, colouring etc, keeps him busy for hours. He sat down and read “The underground Dragon” to me, even though it was a little on the easy side and loved it. 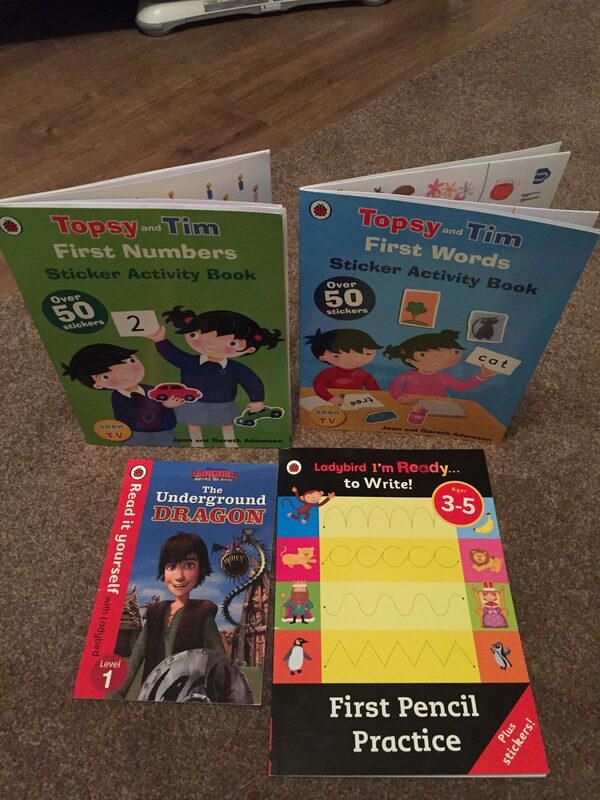 You can find more of a selection of these Topsy & Tim books here plus lots more stories here also. These books are great for kids and the age range starts from 0 months – 7 years. * Disclaimer – I was sent these products free of charge for the purpose of this review, however all thoughts and opinions are my own.